This is our largest event of the year! We all walk out to the club hut. 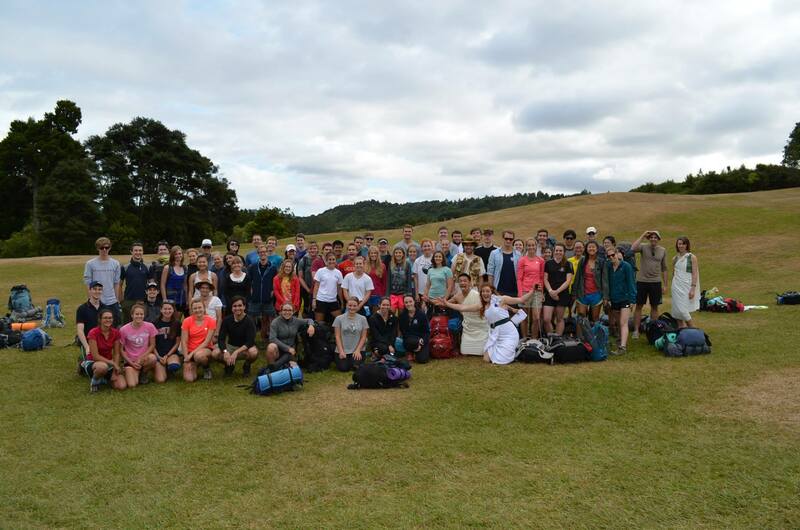 A bus is usually booked for the hordes, tramp through the cascades in general direction of hut, set up tents around the hut, big party, tramp out to Piha the next day, go swimming at Piha, jump on the bus back to Auckland. 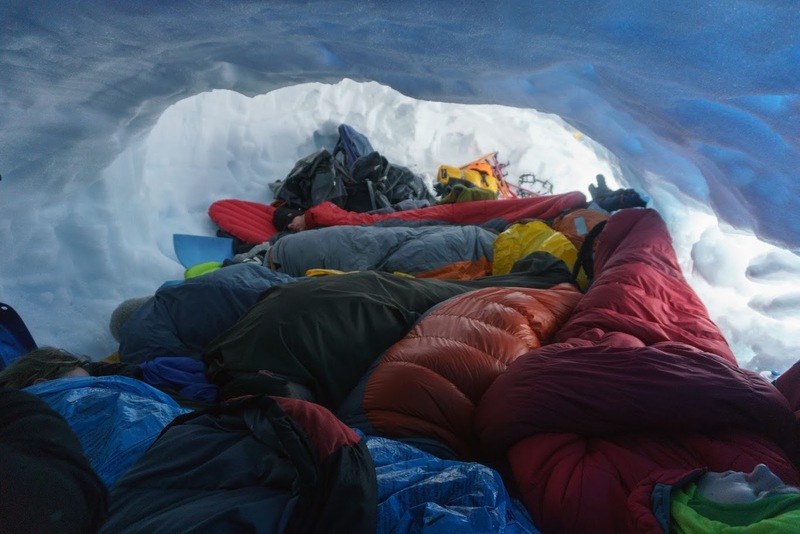 Social event early in the year where everyone heads up Mt. Eden (in summer) or someone’s house (in winter). Everyone pays $5 for the wine and cheese. 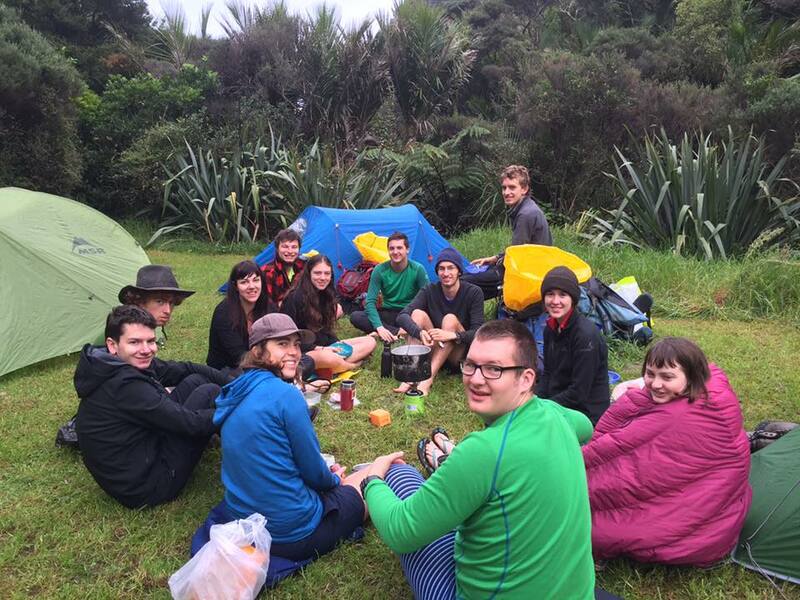 Tramp out to Whatipu, followed by a party in the cave and camping out overnight. One of our bigger events over 2 days, including: raucous costume party madness, crazy games, choose your own tramp; easy, medium or hard. Hut party is to celebrate the birthday of the Hut! Accompanied by awesome hut games, ranging from table traversing to phone book balancing. This is in August. This is a highly-esteemed event where trampers indulge their love of food. 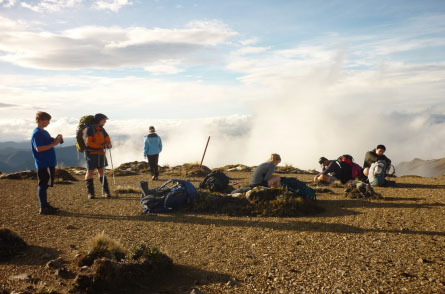 Tramp up to the 5-star hut in the Coromandel Pinnacles, carrying fancy gear and food for a feast. Up the next morning for sunrise on the Pinnacle tops! Usually held in October. 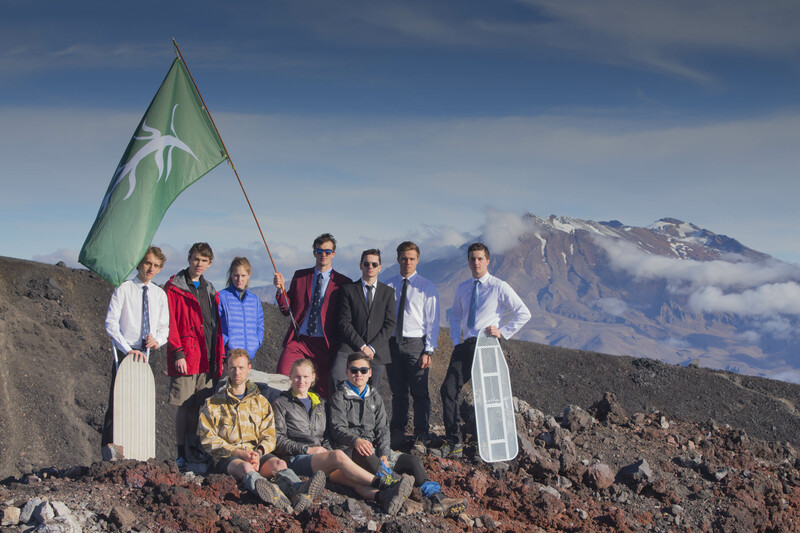 Ball with the other Auckland University outdoor sports clubs such as the Canoe Club, Climbing Club and Diving Club. Dress up Christmas-themed, eat, drink and be merry. Location and date up to your Socials Officers.